If you learn nothing else about St. Louis from visiting here, you will learn this: It is the most inside baseball city you’ll ever visit. But fear not. This is an inside baseball list. 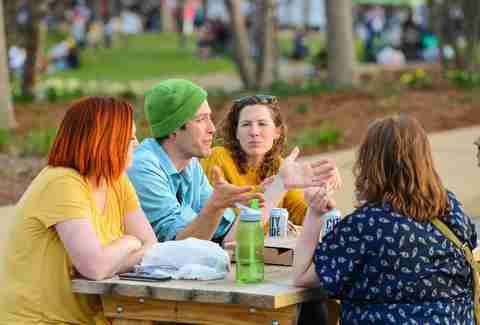 People in St. Louis talk as if everybody already knows every one of the city’s cultural references, so if you use the shortcut terminology I suggest, that will help a lot … though you may encounter some issues. If you sound like you know what you’re talking about, St. Louisans will answer like you know what you’re talking about, and that might leave you lost … in some cases, literally. I swear when I first moved here in 2000 and I’d ask for directions, people would say, “turn left where the Kmart used to be,” which didn’t do me a whole lot of good, because if I knew where the Kmart used to be, I wouldn’t need directions. All of which is to say, bring your GPS because if you ask for directions, they might not be much help. You’ll see “Forest Park” again and again on this and any other self-respecting list about St. Louis. 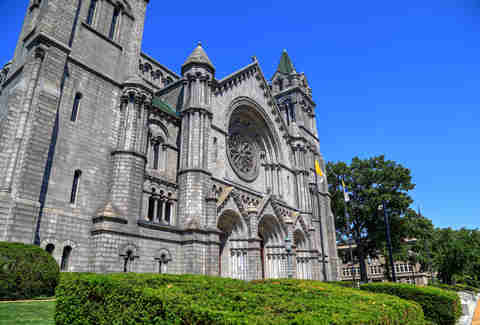 It is home to the Zoo (more on that later), Art Museum (free), History Museum (free), Shakespeare in the Park (free) and Science Center (not free). 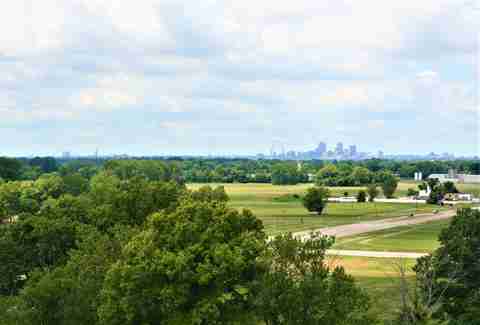 One of the largest urban parks in the country, Forest Park’s 1,293 acres are 453 more than New York’s Central Park. There’s a golf course, tennis courts, baseball and softball fields, an ice skating rink in the winter, plus a paved loop for running, biking, roller blading, walking, etc. Whatever other sport you can think of, someone is probably playing it there. There will be even some you can’t think of: The Great Forest Park Balloon Race, in which participants in hot-air balloons chase another hot-air balloon shaped like a giant Energizer Bunny, is must-see just because … oh, how to put it, hot-air balloons chase another hot-air balloon shaped like a giant Energizer Bunny. The Loop is easily the most vibrant and eclectic place in St. Louis I’ve ever been (A Bostonian friend who ate lunch with me here said it reminded him of Harvard Square). There are more than 145 restaurants, galleries and shops. The people watching is superb, as is the coffee (Meshuggah Cafe). You can take a culinary trip around the world without leaving a two-block area—Italian (Pi Pizzeria, President Obama’s favorite), street taco (Mission Taco Joint), Thai (Thai Gay Yang Cafe), Middle Eastern (Ranoush), etc. And a Walk of Fame will introduce you to accomplished St. Louisans. Named one of the top 10 record stores in the country by USA Today, Vintage Vinyl has been buying and selling used albums since before that became cool. If you are of a certain age, the smell of the place will make you a teenager again, flipping through covers, wondering what wondrous drug(s) the person who drew the album artwork was taking. You know a farmer’s market is must-go when the single “must-get” item is a Bloody Mary. Nothing says “I’m getting my cook on” like waiting through a deep line for a massive glass of tomato juice and vodka first thing Saturday morning. The market, which opened in 1779, has a hip and avante garde feel to it. It’s also far more than a farmer’s market; as the local alternative weekly points out, “the crazy amount of options here will make you feel like you’ve stepped into the farmers’ market equivalent of a Super Wal-Mart, filled with friendly family farmers who would just love to sell you a head of lettuce.” It is open Wednesday through Saturday year round. There is no place like this in the country, for history, size and a bit of mystery. The Cahokia Mounds comprise the largest archaeological site in North America. In AD 1250, what is now known as “Cahokia” (its ancient name is unknown) was bigger than London. Historians estimate that Cahokia covered 6 square miles and had up to 100,000 residents. Today, the mounds that remain of that city are evidence of “the most sophisticated prehistoric native civilization north of Mexico.” Believed to have been built for religious and civil purposes, the mounds are across the Mississippi River in Illinois, a short drive from downtown. As hikes in major metropolitan areas go, this one is excellent. The short (Clark) loop is about 5 miles, the long (Lewis) one is roughly 7 miles. Both are rugged, moderately difficult hikes, with surprisingly tough hills given St. Louis is a relatively flat area. Multiple overlooks of the Missouri River offer incredible views. Be careful—the drop off goes straight down. 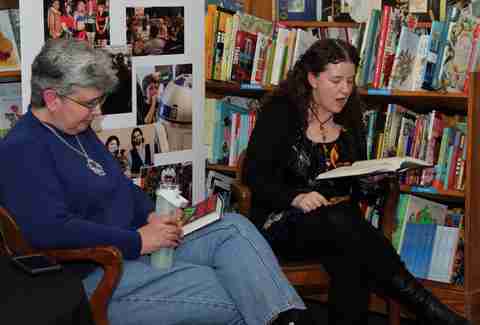 Straight stealing this description from a friend: “A nationally-recognized shop with incredible staff, an old cat, even older books and great ambience.” The oldest and largest independent bookstore in St. Louis hosts more than 300 events per year and most of them are free. Located in the tony Central West End, Left Bank Books is surrounded by 100-plus year old homes and the latest trendy restaurants. 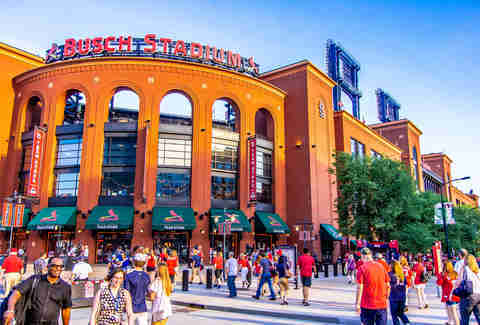 Shortly after I moved to St. Louis in 2000, I eavesdropped on a conversation between two co-workers going to a Cardinals game. One asked the other where his seats were. He responded not with a location—first base line, behind the plate, centerfield, whatever—but with a section number, and that sufficed. I heard similar conversations a few more times. I can’t prove this, but it seemed like the entire city had the stadium section numbers memorized. I’ve lived in three other areas with major sports teams, and I’ve never heard of such a thing. 2. If possible, go to a game against a divisional rival, ideally the Cubs. Next best is the Reds. 3. Leave yourself time to walk among the statues around the stadium. 4. Take the Metro to the stadium. Board it in University City an hour or so before the game. It will be like a moving fan club meeting. The same is true on the way out after the game, though the fans are decidedly grumpier if the Cards lose. Every outdoor item on this list should contain a warning about the heat and humidity in St. Louis in the summer. It’s brutal. The Muny, America’s largest and oldest outdoor musical theater, though, is the place where the heat and humidity bother me the least. The performances make me forget that I am sweltering, and then intermission comes and I feel like I’m in a sauna again.In its 100th season this summer, shows include Annie, Singin in the Rain and The Wiz. Admission is free. You have to pay to park on the lot, but there’s parking on the street, too, and it’s free (though the walk might end up being so far that paying to park would be worth it, especially if you have kids). 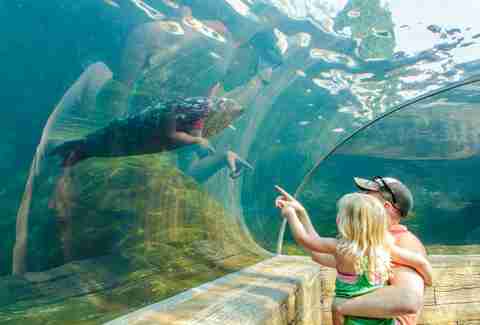 Once inside, you’ll find out why Zagat Surveys and Parenting Magazine named the St. Louis Zoo the best in the country. The River’s Edge follows a “waterway” through four continents (Africa, Asia, North America and South America). Highlights from over 16,000 animals across 600 species include elephants, black rhinos and anteaters. There are hippos, too, but I have long found those massive water horses absolutely terrifying so I can’t in good conscience recommend going to see them. But if you like hippos, have at it. I’m more of a penguins and giraffes guy myself, and both are on full display. A few years ago, I would have said, don’t bother. Everything you needed to see of the Gateway Arch you could see from downtown, the highway, your plane on the way in, etc. But a recent renovation made this iconic structure more accessible. Where it once was walled off from the rest of downtown—hemmed in by a parking garage on one side and highway on the other—now you could stumble upon the arch by accident … I mean, as much as it’s possible to stumble by accident upon a 630-foot-tall stainless steel weighted catenary arch that’s the most famous structure in the state and one of the most famous in the country. If you line yourself up directly on either side of it, you can’t see that it’s an arch, and it looks like the Washington Monument. Walk the grounds. Marvel at the power of the Mississippi River as it races toward New Orleans. And go up in the actual arch itself, if you’re a bucket list, gotta do it kind of traveler. If you’re not, don’t bother. 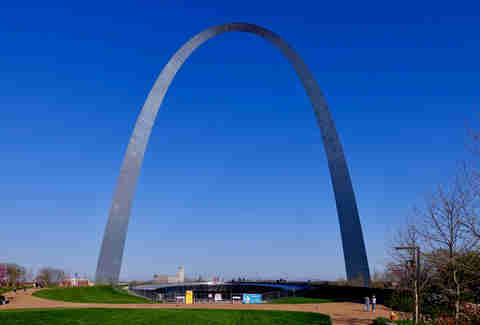 The beauty of the arch is to see it, not to see from it. 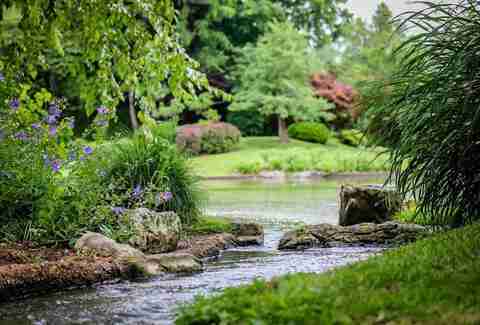 The 79 acres inside the oldest continually operating botanical garden in the country include a 14-acre Japanese strolling garden. If you visit during the Best of Missouri Market in October, you’ll avoid the heat and have access to free samples/local wares. When you’re done checking out the botanical garden, spend a few minutes walking around the nearby Tower Grove neighborhood, with its abundant historic and/or restored homes. You can get it anywhere. “Toasted,” in this case actually means deep-fried. The origin stories of this famous and popular local appetizer are varied. Most versions involve someone accidentally dropping a ravioli into a deep fryer. It sure seems like something a smart person would have done on purpose. Charlie Gitto’s is often cited as the inventor of toasted ravioli, and their version is on every reputable list of the best toasted ravioli in the city. Charlie Gitto’s is also one of the must-visit restaurants in town (see below), so this is as good of a reason as any to go there. I spoke up. “Eee-mohs,” I said. “Are you sure?” someone asked. “Positive,” I said. This would be like asking a Seattleite how to pronounce Starbucks. Full disclosure, I’m not a fan of St. Louis-style pizza, which combines thin crust baked with yeast and processed Provel cheese. For me it tastes like a saltine covered in ketchup. But every St. Louisan I know loves it, and they can’t ALL be wrong, can they? 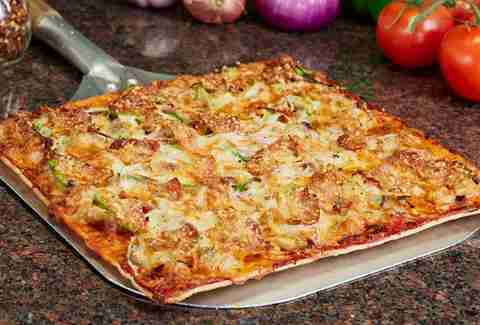 And I’ll say this for Imo’s: If you gave me 10 pieces of pizza and didn’t tell me which was which, I would need just one bite to identify Imo’s distinctive taste. Going out for frozen custard is a thing here, and there are nice little shops all over the place. 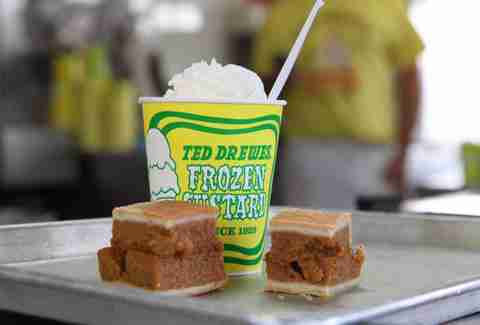 But Ted Drewes is more than just a nice little shop. It’s a cultural institution. Remember when you were a kid, and after your baseball/soccer game, everybody would go get ice cream, and when you got there, everybody you knew was there, and it was like an impromptu block party? That’s what Ted Drewes is like, only the whole city goes and there doesn’t have to be a game as a precursor excuse. If someone wanted to know what St. Louis people are like, I would tell them to go here on a summer night and listen. Go to the one on Chippewa. To get there, turn left where the Kmart used to be. The Hill is famous for Italian restaurants and as the place Yogi Berra grew up. My favorite is Lorenzo’s Trattoria. As an entrée, get whatever sounds good because it will be. As an appetizer, get the polenta. Charlie Gitto’s (as mentioned above) would also be high on the list. A trip to Cunetto will leave you stuffed to the gills in pasta and it’s the place most St. Louisans would name ask if you asked for a recommendation.. Also: It looks like it should be called Cunetto but everyone puts an S at the end of it. The city was founded in this district 254 years ago. Laclede’s Landing was once a trading post – the last one before the Midwest became the West. Laclede’s Landing also was the center of manufacturing and shipping. 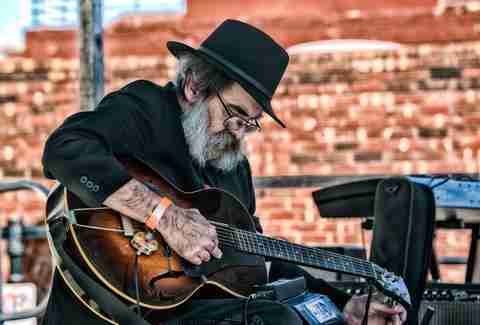 Now an entertainment and restaurant district, Laclede’s Landing hosts the annual Big Muddy Blues Fest, which this year will feature more than 65 bands playing on seven stages over 19 hours. Special shoutout to the graffiti wall. 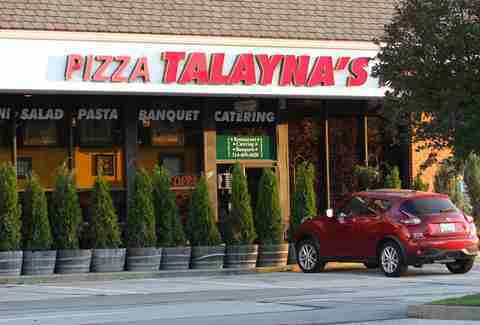 The best pizza in town is the deep dish at Talayna’s, which has multiple locations. Go to the one in downtown St. Charles. 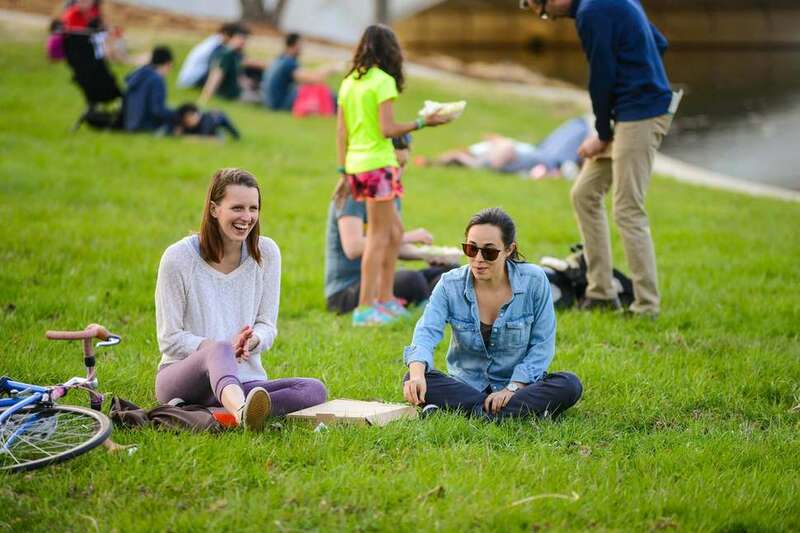 Not necessarily because the pizza there is better than the other locations, but because you need to go to downtown St. Charles anyway, and getting great pizza will provide the necessary motivation. The city and county of St. Charles are on the west side of the Missouri River, which is like being on the moon for people who live in St. Louis County, but that’s no reason to skip this cool little downtown. The shops, restaurants/bars, proximity to the Missouri River and historical connection to the Lewis and Clark expedition make it a great place to spend an afternoon. Hermann is a small German community west of St. Louis renowned for its wineries. The drive will take an hour and a half or so, but it will take you through green and rolling hills and is well worth it, as are the wine and food you’ll consume when you get there. Matt Crossman has written more than 40 cover stories for national magazines. Read more of his work at mattcrossman.com.